The second trailer for The Wolfman. Inspired by the classic Universal film that launched a legacy of horror, The Wolfman brings the myth of a cursed man back to its iconic origins. Oscar® winner Benicio Del Toro stars as Lawrence Talbot, a haunted nobleman lured back to his family estate after his brother vanishes. Reunited with his estranged father (Oscar® winner Anthony Hopkins), Talbot sets out to find his brother...and discovers a horrifying destiny for himself. Lawrence Talbot’s childhood ended the night his mother died. After he left the sleepy Victorian hamlet of Blackmoor, he spent decades recovering and trying to forget. But when his brother’s fiancée, Gwen Conliffe (Emily Blunt), tracks him down to help find her missing love, Talbot returns home to join the search. He learns that something with brute strength and insatiable bloodlust has been killing the villagers, and that a suspicious Scotland Yard inspector named Aberline (Hugo Weaving) has come to investigate. As he pieces together the gory puzzle, he hears of an ancient curse that turns the afflicted into werewolves when the moon is full. Now, if he has any chance at ending the slaughter and protecting the woman he has grown to love, Talbot must destroy the vicious creature in the woods surrounding Blackmoor. But as he hunts for the nightmarish beast, a simple man with a tortured past will uncover a primal side to himself…one he never imagined existed. 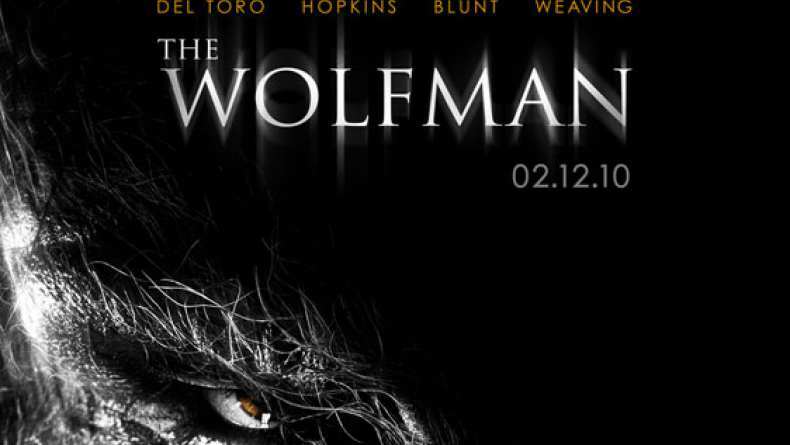 Joe Johnston (Jurassic Park III) directs The Wolfman, and six-time Oscar®-winning special effects artist Rick Baker brings his design and makeup talents to transform Del Toro into the fearsome title character.